For the third consecutive year, five members of the Campus High School Boys’ Swim Team will be testing their endurance during their annual “Swim to a Wish” event to raise money for Make-A-Wish® Kansas. Five CHS swimmers will be swimming 20 miles each for a grand total of 100 miles at the Campus Swimming Pool. CHS swimmers for the event are: Max Shelter (Sophomore); Jonathan Fleming (Junior); Tim Pitts (Senior); Alex Adamson (Junior) and Jonathan Greenlee (Junior). The event will start on Friday, February 27 at 3:45 p.m. and continue until they finish their goal probably on the afternoon of Sunday, March 1. One swimmer will be in the water at a time and will swim a mile (71 lengths) at a time. 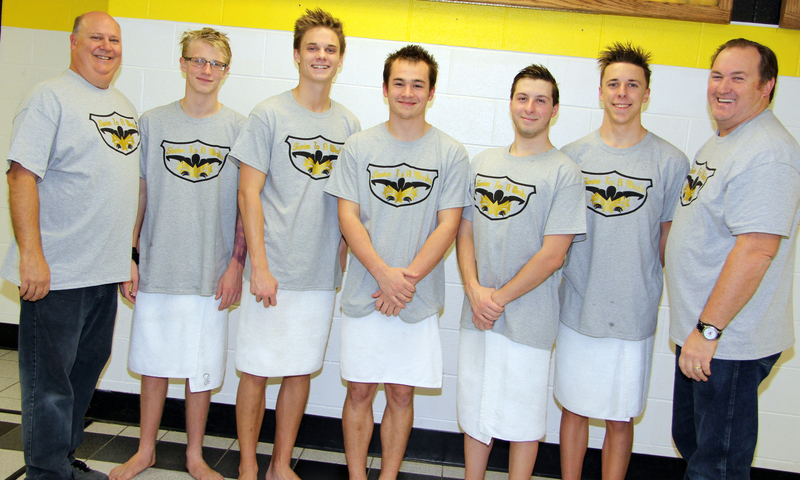 History: In 2013, the CHS Boys swimmers wanted to do a charity fundraiser, so they got together with Make-A-Wish® Kansas. “Swim to a Wish” was pulled together in a short amount of time and the team raised more than $5,700. For the 2014 event, the team was challenged by an anonymous donor to raise $6,000 and he would match anything up to $6,000. The team made their goal and donated more than $12,000 to Make-A-Wish® Kansas. The has continued to grow more than the team ever imagined and the challenge continues to grow because it is for a great cause. For the 2015 event, the same donor has pledged to match donations up to $50,000. Swimmers from Derby High School, Great Bend High School, Newton High School, Salina South High School and Salina Central High Schools have joined the challenge with Campus High School. All donations and sponsorships will be given to the Make-A-Wish Foundation of Kansas. The swimmers will accept either a flat donation or a donation per mile or length of the pool. Please consider making a donation to the swimmer of your choice or to the team. For more information or to make a donation, contact Kelly Kennedy, CHS Head Swim Coach at 200-0120 or at kkennedy@usd261.com or Steve Crum, CHS Assistant Swim Coach, at 258-8077 or scrum@usd261.com. From left: CHS Assistant Swim Coach Steve Crum; Max Shelter (Sophomore); Jonathan Fleming (Junior); Tim Pitts (Senior); Alex Adamson (Junior); Jonathan Greenlee (Junior) and Kelly Kennedy, CHS Head Swim Coach.